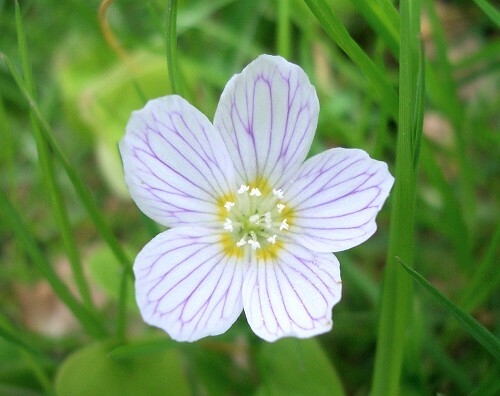 Wood Sorrel is a delicate-looking flower about 15 mm across. 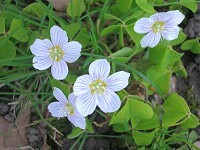 It has five white petals with fine purple veins. 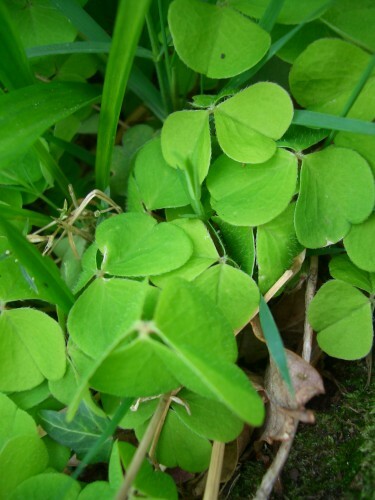 The leaves are bright green and look very similar to shamrock. It can be found in shady woodland. Wood Sorrel is used in herbal medicine to heal wounds and to reduce fever.